VVE (pre-school and early-school education) is the nationally established method to stimulate small children in their development with the goal of combating language deficits. 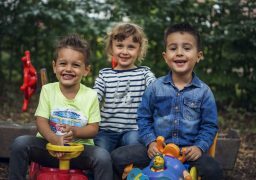 Did you know that all toddlers (27 months to 4 years old) have the right to 5.5 hours of subsidised toddler care per week? 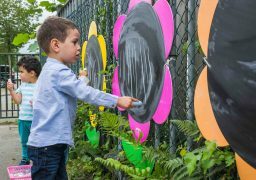 The municipality of Eindhoven finds it important that all toddlers are given an equal start when they begin attending primary school. That is why all toddlers should have the chance to visit the toddler care. Children with an indication get another free 5.5 hours per week on top of that. The consultation office, where the health and development of all children between 0 and years old is monitored, can issue this indication. Why does the municipality of Eindhoven help? Visiting toddler care is important for all toddlers. Your child learns all sorts of basic skills here. 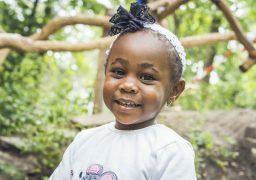 Through a pre-school and early-school education programme (VVE), children are prepared for the transition to primary school. At Little Jungle, we work with the Uk & Puk VVE programme. All areas of development of the children are stimulated through different themes. The doll ‘Puk’ plays a major role in this. Every 4 to 6 weeks, we focus on a different theme and organise all sorts of fun and educational activities. Read more about the different VVE theme newsletters below. Only VVE-certified employees work with the toddler group. They have the right skills to stimulate the development of your child in a systematic way. All locations of Little Jungle Childcare are inspected by GGD and the Education Inspectorate. Working parents only pay the government standard for day care for 5.5 hours of care per week, and receive a compensation from the government to boot. Non-working parents pay an income-dependent contribution. Calculate your net costs for childcare with our calculation tool. Do you want more information, a no-obligation conversation or a tour at our toddler care? Call 040 – 237 5761 or send us a message. Our staff are happy to talk to you. Parents receive a VVE theme newsletter before the start of each theme, which centrally describes what theme will be the focus, what play activities will be offered and what the children will playfully learn. Every newsletter also describes activities you can do at home and includes songs and verses. 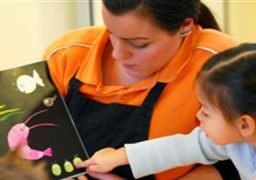 This allows you to match what your child is learning at the childcare centre at home. Below is an overview of all VVE theme newsletters.